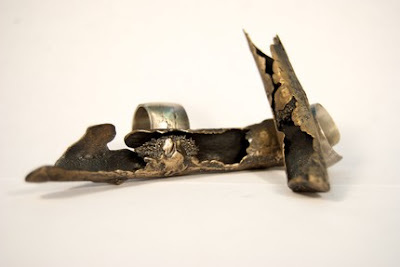 You'll find a new sponsor ad over in the sidebar today...Meryl Pataky shares her beautiful jewelry and installation art with us. From paper to neon tubing, Meryl enjoys it all! Are those rings? Those are fascinating! They look fragile and ancient.